No to G4S: who are g4s? 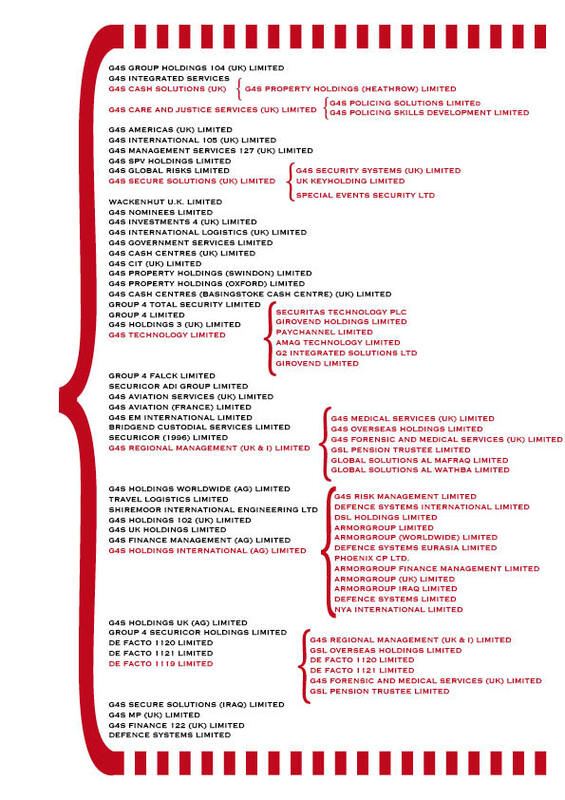 G4S, like many huge corporations, have countless numbers of subsidiary companies. Below are a few of G4S' many pseudonyms; if you know of any more, please get in touch.